LGBRIMH Recruitment 2018 - Job notification for 26 Staff Nurse, Lab Technician & Other Posts in LGBRIMH, Assam. 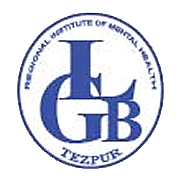 Applications are invited by Lokopriya Gopinath Bordoloi Regional Institute of Mental Health (LGBRIMH) on or before 25 Oct 2018 for 26 vacancies. ( iii ) Registration with INC or State Nursing Council is a must. 01 ( i ) Master's Degree of a recognized University or equivalent in Hindi or English with English or Hindi as compulsory or elective subject or as a medium of examination at degree level. ( ii ) Master's Degree of a recognized University or equivalent in any subject other than Hindi or English with Hindi or English as a compulsory or elective subject or as a medium of examination at degree level. 01 Bachelor's Degree in Radio-diagnosis Technology/ Radiographer/ X-Ray Technique from a recognized University / Institution. 02 Bachelor's Degree in Radio-diagnosis Technology/ Radiographer/ X-Ray Technique from a recognized University/ institution. 01 Bachelor's Degree of a recognized. University or equivalent. (ii) Working knowledge of comp.tt.. including the use of Office suites and Data Bases with typing speed of 40 words per minute in English and 35 words per minute in Hindi. 01 ITI passed in the concerned field. Eligible candidates may send their application in prescribed format (attached below) to the Administrative officer, LGBRIMH, Tezpur 784oo1 on or before 25 Oct 2018, along with attested copies of certificate I one PP size photograph.